A hundred and one things to do seem to suddenly crop up in the last few hours before a wedding – this is the time when one of your bridesmaids tears her tights, or your DJ needs another outlet for the sound system. As long months of preparation come together, your wedding day is bound to be a little hectic. We’ve compiled a checklist to tick off before you start down the aisle so that your big day is less stress, and more celebration. For the smoothest possible event, loosely draft a schedule of the day’s events to follow during the actual wedding. 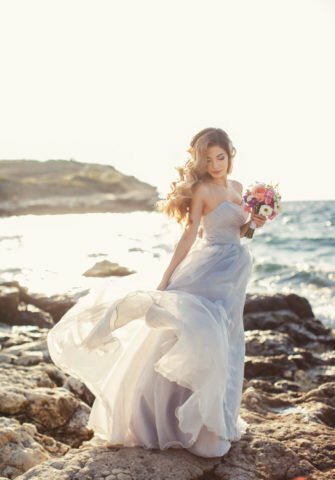 This ensures that you make the most out of your big day, such as slipping in sunset portraits or celebrating with a cocktail hour between the ceremony and dinner. 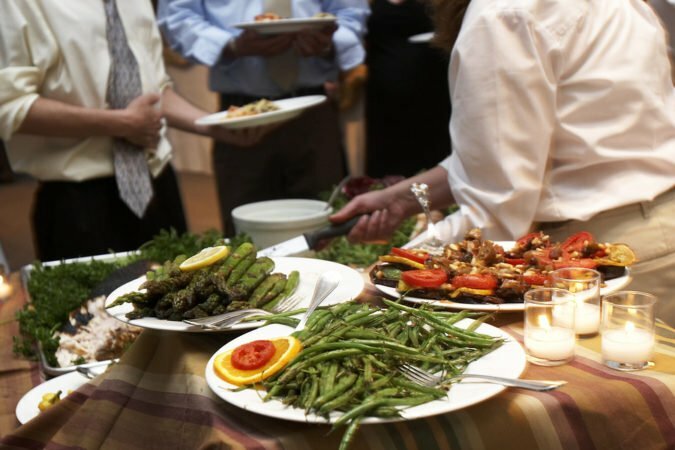 Be sure to share your schedule with friends and family who can help usher guests from one plan to the next. Good lighting has a way of controlling the atmosphere and appearance of your wedding space. This tip goes hand-in-hand with checking your power sources – upon arriving at your venue, check the lighting situation to make sure the lights are functioning and to catch any potential staging problems. Write down a list of phone numbers of all your vendors and staff, and give the same list to a designated helper for good measure. Unexpected situations will always crop up – maybe you’re running late, or one of your guests requires special assistance – and you will be glad to have an immediate point of contact. Avoid a power outage or technical difficulties by double checking that you have enough circuits to share between the lights, heating/cooling units, music, and catering services. If power at the venue is a concern, consider renting a generator to ensure that everything runs smoothly. Don’t ruin the romantic atmosphere of your venue with litter and overflowing trash bins. Before the actual event, talk to your caterer, bartender, and venue owner to make a plan for where trash will be disposed during and after the wedding. On a similar note, have someone periodically check and clean the bathrooms throughout the day. This is especially important in smaller venues with fewer facilities; you don’t want to strand your guests with a toilet paper shortage or out-of-use restrooms. Your wedding relies on the service of many staff to run smoothly. If you plan to show your appreciation through tipping, prepare the money in advance to set aside. You’ll be running from photo sessions to greeting guests to dancing with your new spouse; organizing your tip beforehand will save you the stress of carrying money around and calculating gratuities after a long, eventful day. This tip is extra important if you’re planning a special dance or surprise performance. By now, your band or DJ should be aware of your song requests, as well as any instructions for timing. Have a look at the playlist and a quick chat with the music staff to make sure there are no miscommunications or incorrect versions of a certain song before the music starts to flow. Whether it be time, money, or expectations, you’ve invested a lot into your wedding day appearance. Don’t let easily avoidable dilemmas dampen your special day; pack a few emergency essentials to keep around just in case. Your emergency kit doesn’t need to be fancy or exhaustive, but it should contain staple items that you can rely on, such as pain reliever, eye drops, extra hair ties, and stain remover spray. Consider the where and when of your wedding when packing an emergency kit. For outdoor weddings, it’s a good idea to include allergy medicine, bug spray, and sunscreen. On a less romantic note for nuptials, couples must obtain, fill out, and return a marriage license before their union is legally official. Laws vary by state, but usually couples are expected to have their wedding license on hand to complete right after the ceremony. Remember to bring your license to the venue to avoid chasing down your officiant and witnesses for signatures weeks after the actual wedding. Depending on your itinerary, you may be leaving for a honeymoon the next day or very soon after your wedding. If you’ve planned a romantic vacation out of the country, double check that passports and any required visas are up-to-date. Preparing a suitcase prior to your wedding will also make the time between your big day and your getaway much less stressful and allow you some well-deserved rest to recharge. As the less romantic portion of the wedding, clean-up often gets overlooked during planning. Set a plan for cleaning beforehand to avoid confusion and clear the venue as efficiently as possible – this means putting someone in charge of collecting and transporting gifts after the ceremony. While many couples have online gift registries, some guests may still bring presents to the event. In a similar vein, consider asking other close friends or family to collect the guestbook or the bouquets. Designating clean-up tasks between helpful guests will help you get out of the venue faster when the party has come to a close. 12. Eat breakfast – and breathe! The wedding itself may only be a few hours long, but preparation and clean-up make the celebration an all-day affair. In addition, you might wake up earlier than usual to begin make-up and hair styling or to pick up guests from the airport. While weddings are a special day, don’t let yourself get too carried away with the bustle and busyness before the ceremony. You’ll need your energy to fully enjoy your wedding, so remember to sit down before the madness for a coffee and a deep breath before you find yourself standing in front of the altar in a few hours! Still got some time before the big day? Check out our general tips for all aspects of wedding planning. We’ve also got more advice and reminders at our “wedding checklists” page and “wedding budget checklist” page to help you and your spouse create the perfect celebration.